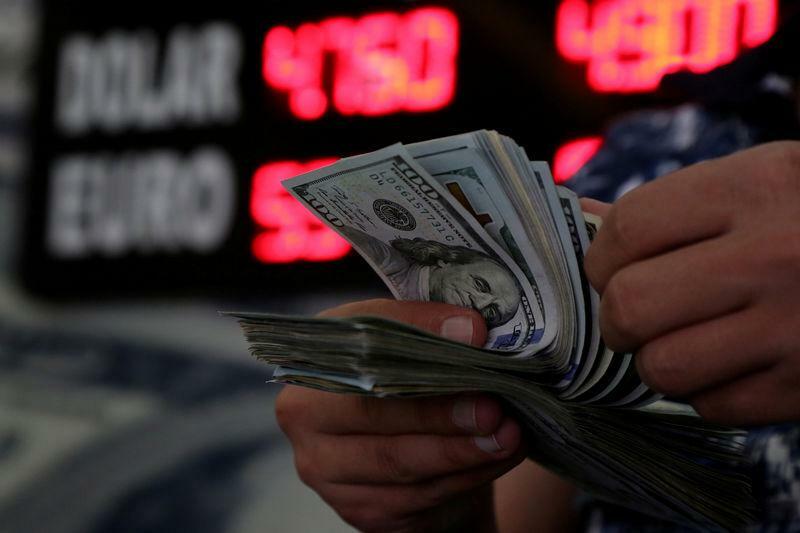 NEW YORK (Reuters) - The dollar fell to a near 1-1/2-month low against a group of currencies on Thursday after data showed U.S. consumer prices increased less than expected in August, changing traders' views on an acceleration in domestic inflation. "The safe-haven demand for the dollar has diminished the past two days on positive trade developments between U.S. and China," said Peter Ng, senior currency trader at Silicon Valley Bank in Santa Clara, California. "Today's CPI miss has added downward pressure on the dollar." The U.S. Labor Department said its Consumer Price Index, the government's broadest inflation gauge, rose 0.2 percent in August, less than the 0.3 percent increase projected by analysts polled by Reuters. An index that tracks the dollar against six major rivals (.DXY) broke below its 100-day moving average, which is seen as a bearish signal, to a near six-week low at 94.428. At 3:14 p.m. (1914 GMT), it was down 0.26 percent at 94.551. Turkey's central bank raised its benchmark rate by 625 basis points on Thursday in a bid to shore up the lira and soothe investor concern about President Tayyip Erdogan's influence on monetary policy. Turkey's lira rallied 3.99 percent at 66.0921 per dollar . It had hit a record low of 7.2400 in mid-August, raising investor expectations for the central bank to tighten monetary policy and arrest the currency's slide.